Includes over 40 tools to work on a wide variety of bikes. Designed for the home mechanic who wants the best. Tools come housed in a tough Park Tool toolbox. 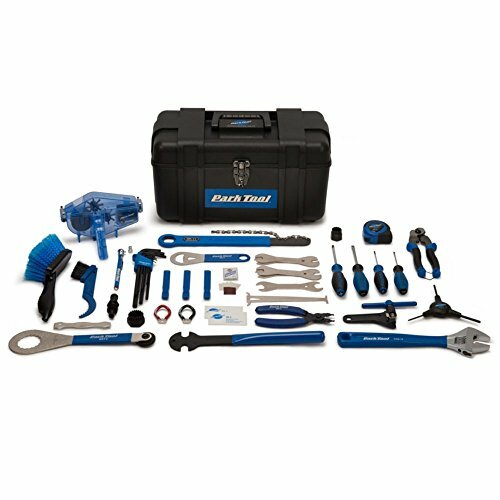 Several tools included are: BBT-9 & BBT-32 Bottom Bracket Tool, DCW-1-3 Double Ended Cone Wrench, SD-2 & SD-3 #2 Phillips & Flatblade Screwdriver, PW-5 Pedal Wrench, SW-0 & SW-2 Spoke Wrench , CT-3.2 Chain Tool, plus more.